I'm hoping I will have a free day soon to do that! Our master bath- like the rest of the house- is drowning in brown. our light fixtures are not my fave. they are already breaking!!!!!! On a three year old house!!! so they definitely need replacing. Here are some bathroom pics I found that I really like. 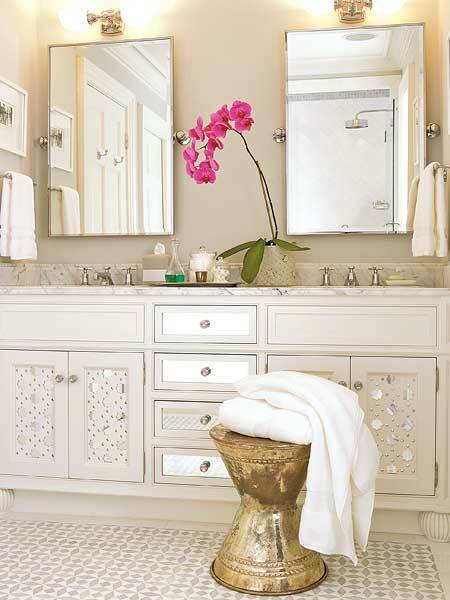 I just love the light and bright feel of this bathroom. Just the right amount of sparkle to have the modern vintage appeal, and a hint of bohemian glamour. L-O-V-E the tile on the floor. I'm wanting to replace our huge mirror for something very similar to these. And I already have the metal tray & orchid! 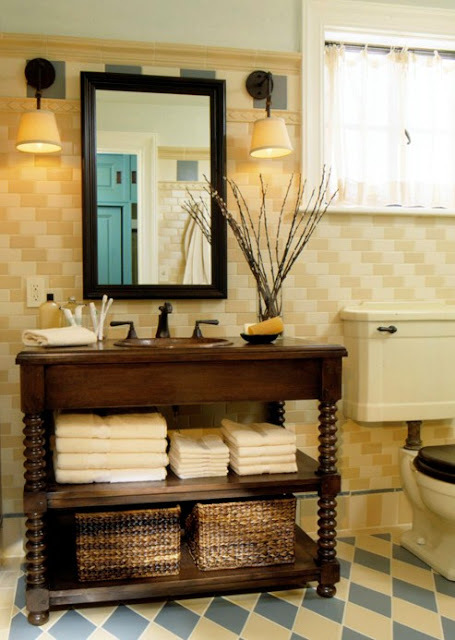 love the soaking tub, pedestal sink and vintage accessories. and I spotted some locally at a great price! I really like all the interesting combinations of tile that you can come up with. 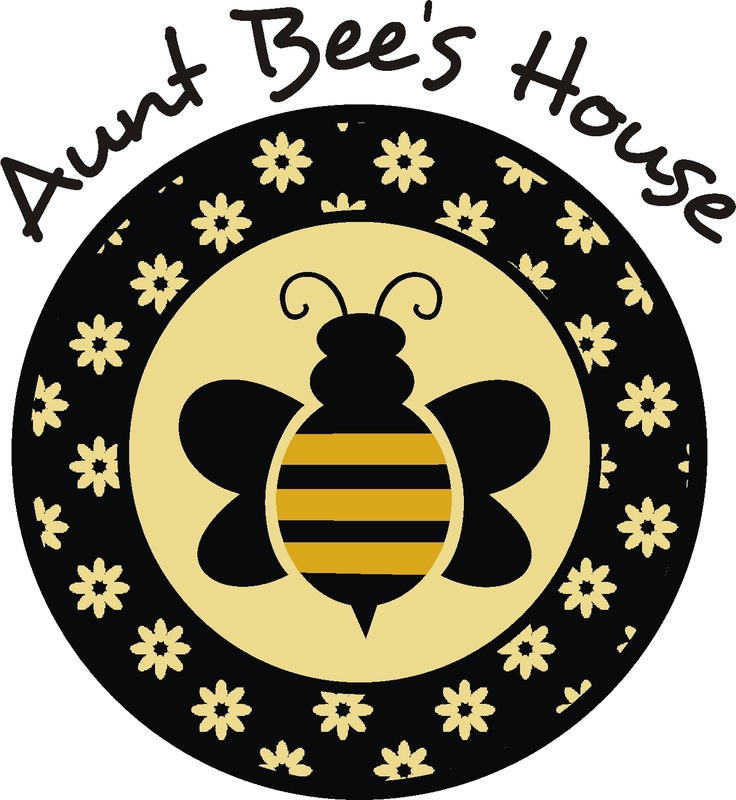 This one has so many different things going on, but it again has a modern vintage feel to it with the checkered floor, the mini subway tile layed out in a fun pattern. The color combo keeps it looking updated and warm. And having furniture pieces in the functional rooms of the house always makes things feel more inviting. this wall color is pretty close to what I will be putting on our bathroom. 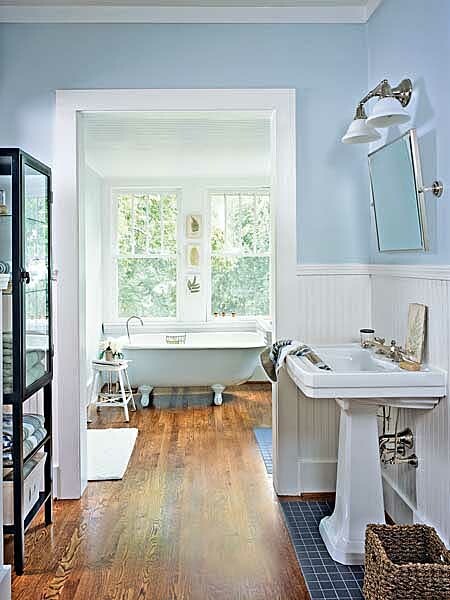 I love the beadboard and wood floors! I love the last bathroom! We have similar color in our bathroom and I love it! 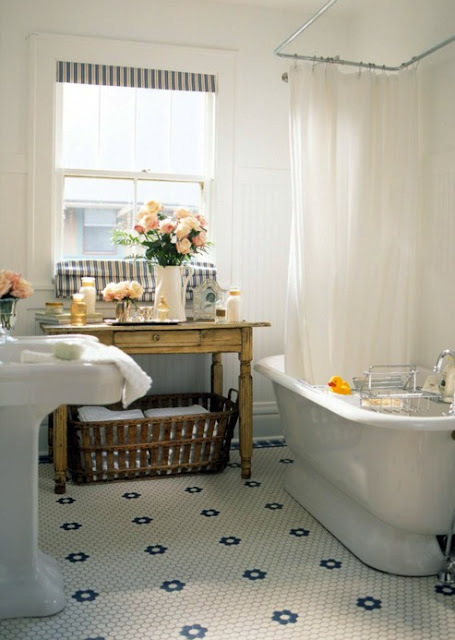 I am really liking the wood floors too and my dream is to have a tub like that!!! Have fun! !